Family woodland owners are an important stakeholder group for brands to engage with in order to support responsible forest management in their supply chain. Nearly two-thirds of the forests in the U.S. are privately owned. Some private forests are owned by the forest sector, which is called ‘institutional-ownership’. Other private forests include conservation and natural resource organization owned forest, unincorporated partnerships and associations, and Native American tribal lands. 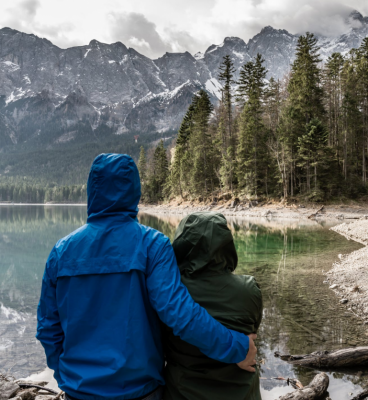 The majority of forests in the U.S. are classified as “family” ownerships, which include individuals, families, trusts, estates and family partnerships. This group is also sometimes also referred to as non-industrial private owners. Overall, the family woodland owner group is larger than any other owner group, at approximately 43% of the total acreage. These family forests are mostly considered to be “working forests,” meaning they provide forest products and are occasionally harvested for commercial value, while also providing other forest values like biodiversity and water management, as we reviewed in the first two modules. 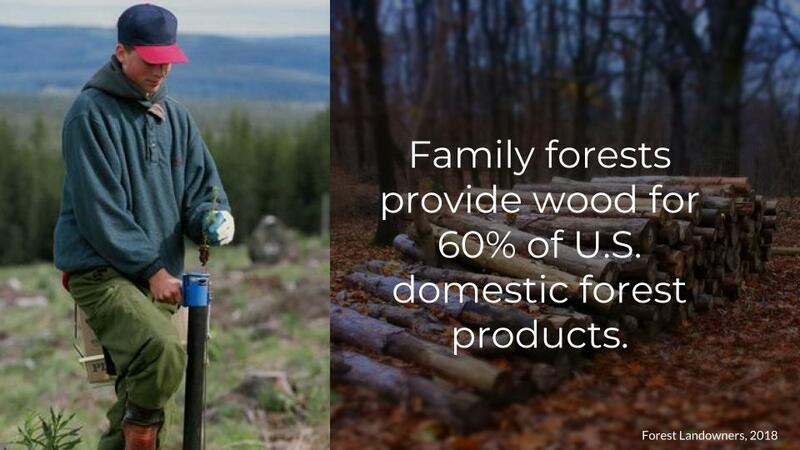 Because family woodland owners represent such a significant group in the U.S, family forests are central to providing a sustainable supply of forest products and to drive conservation efforts. Private woodlands in the U.S., of which the majority are family owned, supply nearly 30 percent of the water we drink as well as clean air, fish and wildlife habitat, and significant recreation opportunities. These private woodlands also provide over 90 percent of our domestically-produced forest products, including paper, the timber needed to build homes and fuel wood for heating them. Family forests supply 60% of this wood supply from some 10 million individual family forest landowners scattered throughout the U.S. and so play a major role in the U.S. forest sector and economy. Understanding the characteristics, attitudes, and behaviors of these family forest owners is therefore critical for developing and delivering effective programs, policies, and services to engage them, ensure sustainable fiber supply, and support responsible forest management. Many family forest owners are relatively advanced in age. The average age of the owner who is the primary decision-maker for a family forest ownership is 62 years old. These owners are likely to pass their land onto the next generation in the not too distant future. Approximately 18% of the family forestland is owned by people who indicate they are likely or extremely likely to sell or pass on all or part of their forestland in the next 5 years, which warrants increased consideration in policies and programs. Female landowners have also been growing in number, suggesting they are likely to play a particularly important role in deciding the future of U.S. family woodlands. The most commonly cited reasons family owners gave for owning forested land according to the USDA Forest Service’s National Woodland Owner Survey are beauty, part of their home, and wildlife habitat the forestlands provide. Other common objectives are family legacy, being able to pass land on to heirs and privacy. On average, family woodland owners have had their land for an average of 24 years. Over 65 percent of these ownerships hunt and over 50 percent hike or walk on some part of their land. Therefore the recreational and enjoyment component of the land is very important. Family woodland owner interests in financial value from timber production varies widely. The financial values increase in relative importance with size of acreage owned, with owners of larger parcels more often placing a higher value on generating income from the land. However, these objectives are still rated lower overall than most of the amenity values. While economic values are only central to some land owners, other values, such as scenic beauty, are shared by ownerships of all sizes. High property taxes were listed as the top concern in the National Woodland Owner Survey, along with keeping the land intact for future generations, trespassing, and insects or disease. One cause of high taxes as well as encroachment on lands that threaten to keep it in tact for the future is the pressure to develop rural land for new purposes like real estate for residential development or vacation retreats. Forest management plans can help maximize environmental benefits and minimize damaging agents that threaten forest health. However, the majority of family woodland owners do not have any kind of formal management planning activities. Many are active on their lands with certain activities like clearing invasive species or harvesting wood for personal use like firewood. Twenty nine percent of family woodland owners reported harvesting trees for commercial value at some point during their ownership tenure. However by and large, family owners do not seek out advice from experts. This leaves the future of these forests uncertain: Well intentioned forest management activities by family owners may not always be sufficient to achieve environmental outcomes. 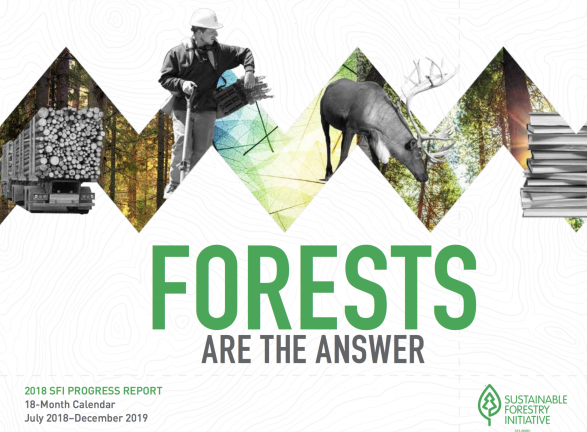 Ensuring forest management best practices is of critical importance as climate change is increasing threats and challenges for US forest health. The fires that have been raging across U.S. western forests for example, are burning hotter and more intensely, due in part to hot and dry weather and in part to mismanagement that allows dry pine needle and other forest fodder to accumulate on the forest floor. These conditions can be reversed through active forest management like prescribed burns, mechanical thinning and timber harvests. Landowners across the west place fire as a primary concern and 67 percent have witnessed a wildfire firsthand on their land or on neighboring land according to a report from AFF. Yet, relatively few have taken action due to lack of financial and management resources. Challenges like insects and invasive species management that are also threatening U.S. forests, which active management can help to control. Today, only around 20% of the family forest owners have received some kind of forest management advice. Only around 12% of owners have actual written forests management plans. The majority have done none of these formal management planning activities. 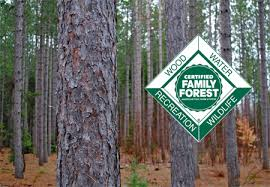 Less than 5% of family forestland is certified. One one hand, this is an opportunity to grow these programs, but there are challenges also. Family woodland owners have diverse interests in owning forests beyond commercial use and do not always find marketplace based tools like certification appealing. Family landowners can be further engaged to ensure that their forests are managed sustainably according to best practices that preserve valuable ecosystem services and promotes the continued flourishing of U.S. forests. For programs to reach even more owners and provide them with needed advice to manage their forests responsibly, they need to be designed to better meet the needs and objectives of the owners, most of whom are more interested in amenity than financial values. Engagement strategies can be targeted to the specific needs and interests of different woodland owners. The diversity of family forest owners must be recognized and embraced and programs must be developed that are suited to their specific characteristics, needs, and desires. The first variable that can be used to predict landowners attitudes and behaviors is why they own the land. Do they own their land primarily for its beauty and recreational value or are financially values also important? The second variable which can be used to predict behavior, is the size of the landholding. In general, people who own larger parcels of land, tend to behave more like traditional forest landowners – they actively manage their land and seek professional and financial advice and assistance. A third variable is ownership vs inheritance of their land. Owners who have inherited their land are often most concerned about keeping it intact and passing it on to their heirs and may require programs that emphasize intergenerational transfer of land. New owners tend to be less knowledgeable and more open to advice and information. Another variable is if people live on their woodlands. People who live on their property are usually more emotionally attached to it than people who don’t. They may have more vested interest in amenity values of their forests than absentee landowners (although this will vary). Finally, if woodland owners value farming is another key variable. Farmers tend to have a deep understanding of land management and a pragmatic approach to tending and managing woodland. However, they value farmland more than woods. These owners need to be engaged to ensure forested land is not cleared. The periodicity of the management activities and revenues on family forestland; as well as a limited financial ability and lack of incentive to demonstrate their conformity with forest certification, has precluded many family forestland from becoming certified. However, there are Certification Programs aimed at Family Woodland owners. The FSC-US Family Forests Program provides a market-driven incentive for this ownership group to engage in responsible forest stewardship and makes certification more accessible through low cost group certification programs, in turn allowing them to gain access to markets for FSC-certified wood and paper products. 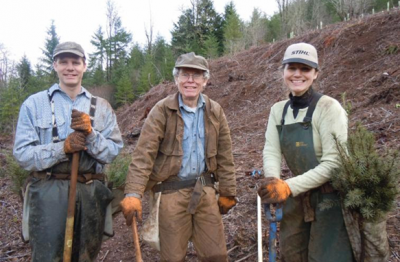 The American Forest Foundation (AFF) specializes in working with individuals and family woodland owners, including considerable work to engage family landowners on conservation through certification and other strategies. The American Tree Farm System (ATFS) is a network of 74,000 Tree Farmers managing over 20 million acres of forestland in North America. States can opt into certification systems for forests through ATFS, although the program’s reach includes both certified and uncertified forest owners. The program emphasizes impacts on water, wildlife, recreation, and wood working through a network of forest landowners, volunteer members of state and local committees and associations, national and state government agencies, inspecting foresters, forestry consultants, natural resource professionals, and private industry to promote and verify best management practices. The program provides Tree Farmer Mentors to educate and mentor landowners who have never managed before, connecting them with resource professionals to write management plans and sometimes get certified through ATFS. AFF also provides expert advice to their network of family woodland owners and a suite of online tools, such as My Land Plan which helps landowners map their land, get tips on everything from improving hunting to fighting invasive species, ask advice from a professional forester, start a journal and share photos, and set goals with help to break them down into actionable steps. The Sustainable Forestry Initiative (SFI)’s Fiber Sourcing standard was largely created to better reach family woodland owners, since a large portion of wood supply comes from family woodlot owners and it is challenging to have them pay for forest certification. SFI Fiber Sourcing recognizes that many of these landowners place high value on conservation outcomes and other forest services and the standard is purposefully designed to influence these millions of additional landowners through promotion, education, training, and outreach around biodiversity, forestry best management practices to protect water quality, and using the services of forest management and harvesting professionals. As a procurement standard, the fiber sourcing program aims to helps family landowners sell their wood and achieve some economic value from their forests by providing assurance to marketplace that although many family forests are uncertified, they have been evaluated to show the wood is legal and risk free, but also also that landowners and harvesters have been engaged around responsible forestry practices. 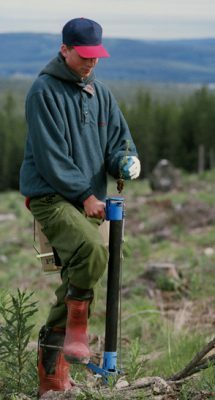 The standard contains requirements on biodiversity through promoting landscape assessments, conservation assessments or other approaches, steps taken to ensure good water quality in forestry like training on best practices for harvesting near streams, use of qualified, trained logging professionals, and investment in forest research. This also includes landowner outreach and training for anybody procuring wood from family lands or any lands going into the mill. Forests in Focus (FF) is a project that is currently under development by GreenBlue’s Forest Products Working Group, AFF, the USDA Forest Service, Esri, and a diverse set of stakeholder input, that will provide a dynamic, interactive platform that for brand owners, manufacturers, agencies and conservation groups to achieve positive conservation impacts together in two new ways: 1) provide a landscape level sustainability assessment of woodbaskets; and, 2) provide opportunities to engage across the supply chain with a focus on family forest owners. Designed to work directly with existing certification programs, FF will allow corporate partners to leverage the power of FF to support, streamline and inform the actions required under other Systems. FF works by using dynamic spatial analysis that assesses sustainability at the woodbasket level showing data on water quality, forest gain and loss, endangered species habitat, and other forest values important to stakeholders and the public at large. By demonstrating real impacts through a credible, transparent, and data-driven tool, FF effects positive change and supports family-owned forests. FF is specifically designed to complement corporate sourcing goals and existing programs, so corporate partners will be able to leverage the power of FF to support, streamline and inform the actions required under other Systems. Supporting family forest owners and engaging them through these programs helps companies to meet their corporate sustainability goals. 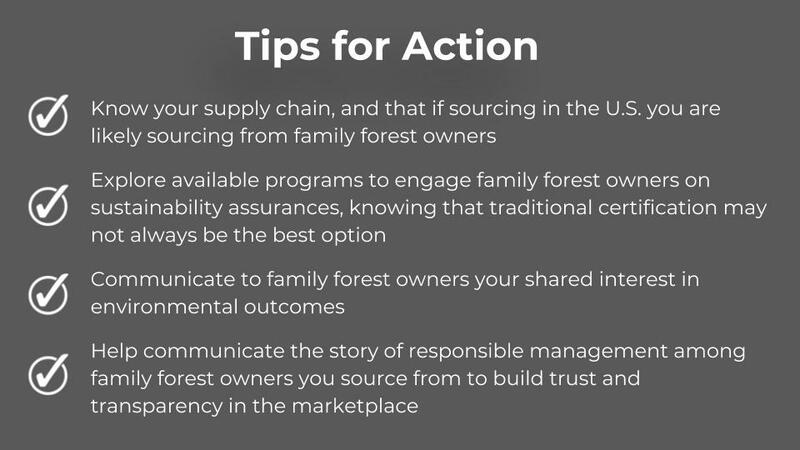 Since family forests in the U.S. supply 60% of the wood used in products today, working with family forest owners to ensure they are managed sustainability is a critical part of sustainable sourcing policy for brands. Brand owners that work with family woodland owners can support rural livelihoods that help keep forests as forests and also create positive environmental benefits like ensuring good water quality, managing and mitigating climate change impacts and promoting biodiversity through wildlife habitat. As we have established in this module, many family woodland owners value these environmental goals as well. Domtar works with the American Forest Foundation (AFF) and the Audubon society to help family and private woodland owners in northwest Pennsylvania and southwest New York improve habitat for at-risk bird and wildlife species.The partnership works with woodland owners to implement important forest practices to create better habitat for iconic bird species such as the golden-winged warbler, black-throated blue and cerulean warbler, among others. In addition, the project intends to build awareness in the community around the importance of active forest management for birds and wildlife. Sappi’s Forestry Program works with family woodland owners to advise on responsible forest management. In one highlighted example, Bill Randall owns a dairy farm in Maine which includes approximately 300 acres of woodlands that he has been managing with the help of the Sappi Forestry team for about 10 years. This year he worked with Sappi’s foresters on a 95-acre selective harvest.Managing his woodlot with the Sappi Forestry program enhances tree growth, and produces a healthy forest which supports water, air and soil quality, wildlife habitat and many other values for future generations. Bill is using a portion of the income he receives from selling the wood to restore the farmhouse on the property where he grew up. SFI’s Fiber Sourcing Program Participants include many mills that provide paper products to the global marketplace. Because of the SFI Fiber Sourcing standard, the vast majority of this fiber is delivered by harvesting professionals who have been trained in sustainable forestry practices. Over 20 years, SFI logger training has come from being 30% of the supply to over 94% of the supply going into mills. This includes 11,065 trained harvesters in 2017, with a total of 192,384 since 1995. Logger training and other outreach and education in sustainable forestry occurs through SFI’s Implementation Committees (SICs) in partnership with other organizations. The SICs are a grassroots network of close to 1000 people including private landowners, independent loggers, forestry professionals, local governments, scientists and conservationists. Through these Committees, program participants work with family woodland owners and others to provide leadership and share best practices to improve forest management all forest lands. Participants have invested $70 million for SFI implementation committees since 1995. Brandowners and landowners have an opportunity to work together to ensure responsible forest management on family woodlands and tell this story to the marketplace.For many family forest owners, the marketplace does not understand how family forest owners manage and value their land since these lands are largely not certified and harvesting trees is sometimes perceived as a “bad thing.”However, many family owners have been doing good management for years, because it’s in their best interest to leave the land in good condition for their heirs and reflecting their interests in wildlife and aesthetic values of forests for their home and family. Yet, these stories of stewardship, and many more, have not been well communicated to the public. Brand owners use a number of mechanisms and strategies to help build this trust with their customers, including supply chain transparency tools and forest certification, but family forest owners lack much of this transparency and have often not been engaged. These two groups have enormous influence on sustainable forestry—through supply and demand for forest products, and open and transparent dialogue between them provides tremendous marketplace and environmental opportunities. 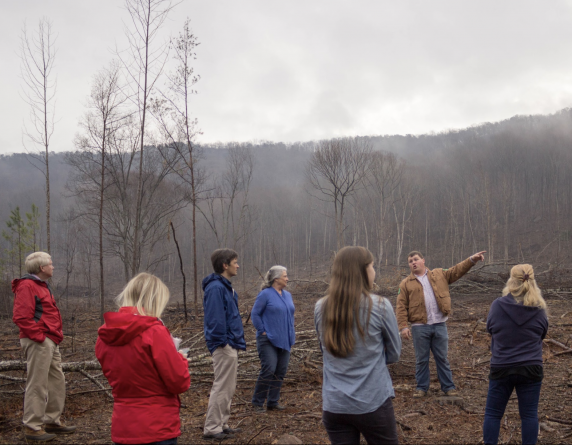 Family forest owners are important stakeholders, comprising the largest forest owner group in the U.S. and the largest source of commercial forest products. 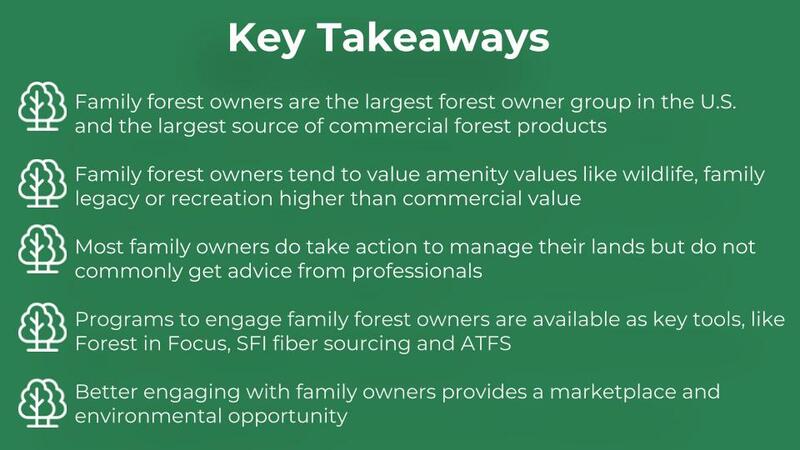 Generally, family forest owners value other amenities like aesthetic value, family legacy or recreation higher than commercial value. Most family forest owners do take some action to manage their lands, however the majority to not engage with professional foresters to get advise, or have formal management plans, and very few are certified. Because their interests are not primarily commercial, family owners are not effectively engaged by many existing marketplace tools like certification, yet it is critical to engage with them because they provide much of the forest products supply. Programs to engage family forest owners exist as key tools, like Forests in Focus, SFI fiber sourcing, FSC controlled wood, and ATFS. Brands should look at the lack of engagement with family forest owners as a marketplace opportunity as to both a way to get fiber and a way to create environmental outcomes.